The Grace Road Group has launched a new hardware and homeware store in Suva’s fastest growing area, marking the latest outlet in a business portfolio spanning agriculture, construction, food processing, property development, restaurants, and trading. 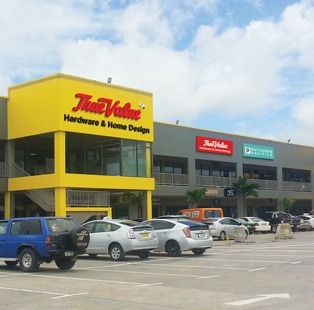 True Value was officially opened at the Rups Bazaar Complex in Nakasi last month, offering over a thousand different products in hardware supplies and home essentials. These products include Dewalt power and Workpro hand tools, Hillman and Kwikset door hardware, True Temper lawn and garden tools, 3M safety and taps, Lock & Lock food storage items and containers, Neoflam cookware, Yerim waterproofing doors with insulation systems, Deluxe paint, Hanhwa deco tiles, GE LED lights and Rubbermaid. “True Value also keeps launching new brands every week or every month to introduce more products for customers,” said Group Public Relations Manager, Grace Park. “The idea of setting up a hardware store was to give people more options on great quality products for their homes. She said Nakasi was chosen as a location because of its growing residential area and the high demand for quality goods such as hardware and homeware essentials. “Also, there are new cinemas, various restaurant (including Grace Kitchen and Sunny Pizza) and shopping centre at the Rups Complex in Nakasi, and plenty of parking space. A lot of people have come to the shop and surprised with the high quality and wide range of products. Customers who want to build their new house or already have started building a house were really satisfied with our products. The True Value store includes an outlet for the Group’s Patisserie Pacifica Café to offer complement the shopping experience of customers. The Grace Road Group operates a total of 47 stores all around Fiji ; 10 Grace Kitchen restaurants, 8 Snowy House cafes, 6 Sunny Pizza restaurants, 4 Patisserie Pacifica cafes, 4 Noodle House restaurants, 4 Pure Green outlets, 1 Awesome Grill restaurants, 1 Sushi outlet, 4 GR Hair Salons, 4 Missha outlets and the True Value hardware and homeware store. There are plans to open five more shops in the first half of 2018. The Group won the Prime Industry Business Excellence Award at the Prime Minister’s International Business Awards 2017. © Since 2018 GR Group, All Rights Reserved.